Seventeen stories that reprise a wonderful period of crime writing. Enjoy the sheer inventiveness of plot, the erudite introductions by Martin Edwards and the delightful variety of storytelling styles. 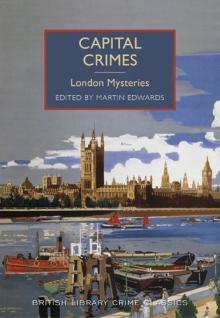 “London has been home to many of fiction’s finest detectives, and the setting for mystery novels and short stories of the highest quality, throughout the genre’s history. With its fascinating mix of people, rich and poor, British and foreign, worthy and suspicious, London is a city where anything can happen. The possibilities for criminals and for the crime writer are endless.